I said, when I write my little tribute to Harold Ramis, that there was one tribute I was dreading having to write, as I knew it would be the one that would hit me the hardest. That time has sadly come, and in the end, it's taken me over a week to collect my thoughts, and finally get this written. 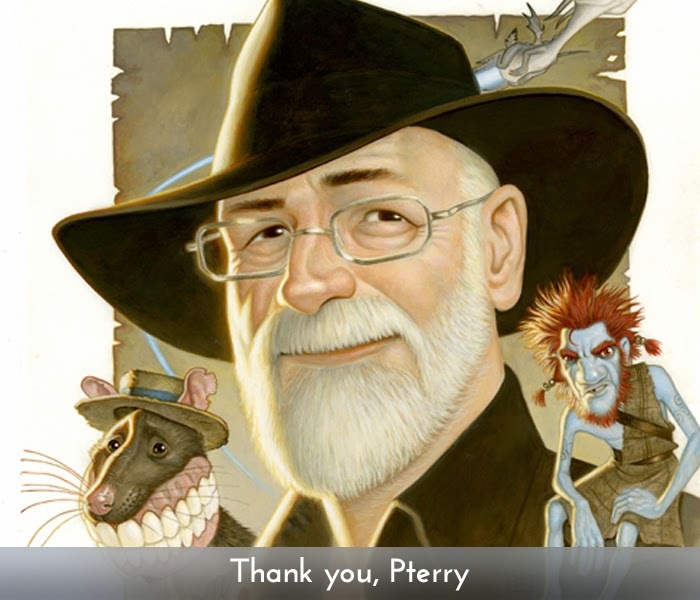 And I've decided: I'm not going to write a tribute to Terry Pratchett. It doesn't seem enough, somehow, not for the man whose work has had the greatest effect on not just my own writing, but on my worldview.